I used to work as a roofer for several different companies. 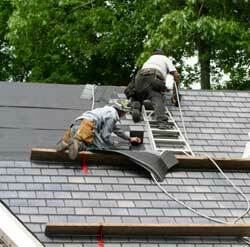 I had been repairing roofs for 8 years, until April 11, 2011, when accidentally I fell from the second floor. I was working right on the edge of the roof fixing some wood, when suddenly I heard some strange noises. There were five plywood boards that slid down, right in the place where I was working, and they pushed me and I fell down onto the house’s garage from 28 feet high. I fractured my back and broke my left leg. It was terrible and painful too. I couldn’t move my body until the ambulance and paramedics arrived there and gave me first aid. They took me to the hospital. I had x-rays over my whole body. I had to wait for two days to get the results to see if the fracture in my back could get better. After 2 days my back got better and better, so I didn’t get surgery there, but my leg unfortunately, was totally broken so I needed surgery. After that, It was so difficult to get better because for the first 3 months I couldn’t do anything. I mean, I couldn’t dress myself, I couldn’t take a shower, I couldn't even go to the restroom by myself. But now it's really different because I can do many things. For example, I can come to school, go to the hospital, I can even do physical therapy, and the doctors say I‘ll be the same person as I was, all I need is time and patience. I don’t know how long it’s going to take to get better and go back to work. I've been thinking about what kind of job I'm going to do because after this, I won’t work in the same job, definitely not. That’s why I'm coming to school and getting some skills. Well, at least I’m alive. I’m so thankful to God for giving me a second chance. If you're thinking of doing this kind of job, I want to suggest that you think about this and think twice before applying for this job or trying to get some training, because believe me, we can make a very good money in this job, but money isn’t evething the life. Life is beautiful and we just have one, and if we have a nice family waiting for us at home or in our country like me, you don't want to throw it away in a dangerous job like that. You know after 8 years living here in San Francisco California, I just want to get better and go back to my country and tell to my family how much I love them, because they are everything to me. I think all you guys know what I mean. The most important thing is your life, not making a lot of money in a dangerous job that could kill you. And by the way, I think the city should do a better job of regulating roofing companies that don't make safe working conditions for their workers.